Vascular dementia is a term used to characterize thought processes caused by some sort of brain damage. Here we look specifically at stages of vascular dementia and life expectancy of stroke dementia patients. Vascular dementia means that someone has problems with reasoning, planning, judgment, and memory related to brain damage from impaired blood flow to the brain. A person can develop vascular dementia following a stroke. Stroke can block an artery in the brain. There are other conditions that damage blood vessels that can deprive the brain of important oxygen and nutrients though. Research seems to suggest that about 10 percent of dementia sufferers are stroke dementia patients. Vascular dementia is also known as multi-infarct dementia and it is the second most common cause of dementia in our older population. Vascular dementia symptoms vary from person to person. This is due to the fact that there are different stages of vascular dementia. Since the condition can progress from one stage to the next, early diagnosis is important. What are the stages of vascular dementia? Well, there are seven stages of vascular dementia. We cover each of them in the stages of vascular dementia chart below, including what happens in the last stages of vascular dementia. There are no obvious signs or symptoms and the person functions as if there is no illness. Many people in this stage continue to work and engage in their favorite physical and social activities. In this stage, there is really mild cognitive decline. The people in this stage start to become forgetful. For example they might forget where they put their keys or forget someone’s name. This can also be a normal part of aging if you are over 65. This stage is called the Initial Mild Stage. This is when a person becomes more forgetful than ever before. In this stage, people forget what they talked about and what they need to do. They find it difficult to find the right words and have a hard time working. The signs and symptoms usually start to appear five to seven years before an actual diagnosis is confirmed. Early Stage – Moderate Vascular Dementia is stage 4. This is the stage when signs and symptoms become obvious. People in this stage tend to avoid family and friends, find it hard to form sentences and carry on conversations. They also lose memory of recent events and find it very difficult to complete simple tasks. Sadly, people in stage four are frightened of social situations. If there is no treatment, this stage will progress and become more serious in just a two to three year period. Mental stimulation through activity is said to be important during this stage. This stage is called Mid Stage – Semi Severe Vascular Dementia. A person at this stage needs assistance with daily tasks, such as dressing and making meals. Some will have difficulty with mobility. One of the first signs is that they bump into furniture or they walk in an unsteady fashion. In severe cases, a person may be confined to a bed or chair. This stage is difficult for family and friends because the patient may no longer recognize them or may only have flashes of remembering their names. The Second Last Stage – Middle Vascular Dementia is severe. People in this stage lose memory and start recalling events that happened in the past. They often become delusional and can’t remember people’s names. Physical changes also occur, including incontinence and loss of bowel control. Most people with middle vascular dementia lose weight, which makes them frail and increases their risk of falling. Unusual behaviour is also common in stage 6. For example, some become aggressive and some call out the same words over and over again. This stage is called Last Stage- Late Stage Dementia. At this stage, the sufferer is unable to speak or communicate. They need assistance with everything, including walking, eating, and going to the washroom. They do not recognize anyone. In fact, it is highly likely they won’t recognize their own reflection in a mirror. It is also possible that they won’t recognize their surroundings. In this stage, it is common for people to think they are in a time from the past and talk about people from the past as if they are still here. Most people in this stage communicate with body language. Now that you have a better idea of what a vascular dementia diagnosis could look like, I am sure you are wondering, what is vascular dementia life expectancy? It is hard to accept, but there is no cure right now for vascular dementia. Treatment can slow the progression of symptoms, but the damage done to the brain can’t be reversed. Life expectancy with vascular dementia can be hard to talk about, but the truth is that it does appear to shorten life. The most common cause of death is usually complications of dementia linked to cardiovascular disease. It is also important to know that life expectancy for someone with vascular dementia can be cut even shorter if the person has another stroke or heart attack in addition to the brain damage. We can’t say for certain what stroke dementia life expectancy is because the symptoms vary from person-to-person, and as you can tell from the stages outlined above, the outcome can depend on how far the disease is in each sufferer. If there are other health conditions, it could have a significant impact on life expectancy. Age also plays a large role in each case. Depending on the stage of dementia, both medications and lifestyle adjustments can be applied to help prevent the disease from worsening. Some research suggests that vascular dementia life expectancy cuts down up to 50 percent of life expectancy because it is considered a major disease and is far worse from a mortality perspective than Alzheimer’s disease. Below you can see the estimated ages and percentages. In general terms, research shows that in many countries, about 10,000 deaths every year are due to vascular dementia. Some records suggest a life expectancy of 20 years, but this largely depends on the resistance power of each person as well as the care that each patient receives. If you are concerned about end-stage vascular life expectancy, you should discuss it with a qualified healthcare professional. 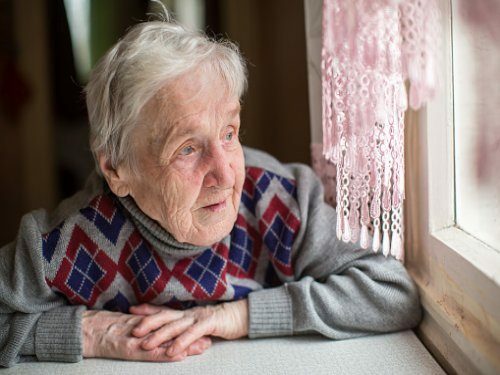 Caring for someone who is suffering from vascular dementia can be overwhelming; however, studies indicate that patients who have a strong support system that includes family and friends tend to do much better when it comes to coping with the many symptoms of this disease. Spending time with a loved one who has vascular dementia, sharing stories, and encouraging them to engage in social activities or activities that stimulate their minds are great additions to any medical treatment they might be receiving. Some medical experts believe that remaining active can help slow down the progression of the disease.